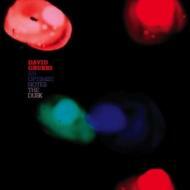 'A step into the void' is how David Grubbs describes An Optimist Notes The Dusk, his first solo album since 2004's A Guess At The Riddle. Much the same way that each of Gastr Del Sol's albums sought to avoid precedents and to model a world in which nothing should be taken for granted, the new album steps into the void. Nothing Necessitates-it's all built from the ground up, and each step of the way it could have been built differently. Five longish songs and one 11-minute instrumental floor rumbler, all based around Grubbs' electric guitar.